What’s it like doing a Level 3 childcare course? Abi is 21 years old and nearing completion of her Level 3 childcare course with Parenta. She currently works at a nursery and a first school in Brewood, Stafford. We asked her to tell us more about how she found her course and whether she’d recommend it to others. 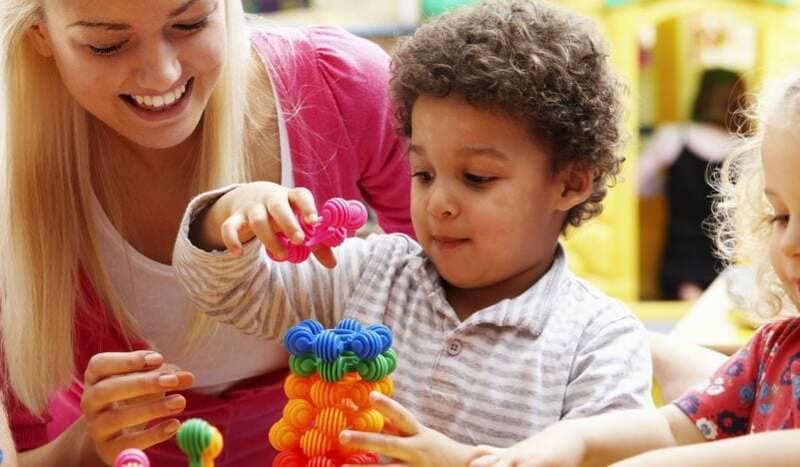 Why did you choose to do Level 3 childcare? I chose to complete a Level 3 NVQ in Childcare following the completion of my Level 2, in order to further extend my learning and professional development. What qualifications or experience did you need to start the course? I had to be employed or volunteering for a minimum of 16 hours at any one setting. Experience was not necessary, as training is provided throughout the duration of my volunteering/job. However, I did already have a few weeks’ experience in other day care and school- based nurseries due to my placements throughout high school and sixth form. To do my Level 3, I also needed Maths and English at GCSE level and literate IT skills. What do you feel like you’ve learnt from it? I’ve learnt crucial information based around the philosophical approaches to children’s development. I’ve also learnt a lot about the EYFS and its importance in relation to current frameworks throughout many areas in children’s development. Finally, I’d say I’ve also learnt how to become more professional throughout my career. Completing the Longitudinal Studies. This entailed following two children at separate times over a 6 week period; focusing on one area of development. Although this is a rather lengthy part of the course, it’s probably the most informative – thus one of the most important – as it enables you to plan activities geared towards the children’s interests and next steps. What was the support like from your assessor? Fantastic, I cannot recommend Leala Winship enough. How well did the course fit in with working in a setting? Brilliantly, my assessor came to visit and observe me when it suited me and my colleagues. She was also able to cover more than one area of learning on most of her visits. Being visited in your place of work, I feel, gives a very true representation of the role you actually carry out as you’re in your own setting with your own children. How do you plan to progress your career in the future? I plan to start my university course in September to become an Early Years Teacher, through the employment-based route. I also find it useful to know that the Level 3 for Children and Young People’s Workforce (more recently known as the Early Years Educator) enables me to work within a variety of different professions, such as support worker in the community. Would you recommend your course to others? If so, why? Yes! I’d definitely recommend Parenta and the Level 3 course. I had a fantastic tutor who listened and took things at my pace. This was a fantastic way to feel encouraged and supported throughout my learning, whilst also working to earn a living. Are you ready to start your EYE training? Get started today!